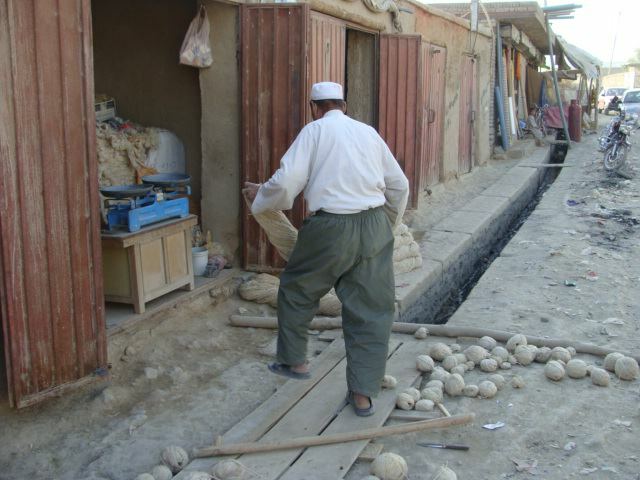 On the streets between Qala-i-Bahadur Khan, Qala Khazi and Dasht-i Barchi, in the southwest outskirts of Kabul, there is a new vibrant and growing community. It appears to be an admixture of ethnic groups; Hazara from Dashti Barchi to the north, Tajik from the Qalas to the Southeast and a dash of the exotic Qizilbash from the east. There is very little evidence of the Pashtuns who once owned the land there, except for the occasional walled compound sitting by itself. A note about the Qizilbash; they are a striking, beautiful and proud people. Qizilbash means “Red Hat” in Dari, and they were brought to Kabul from Persia as mercenaries and technicians in days of old by the Afghan kings. This arrangement made them entirely beholden to the king and less likely to stage a palace coup, which is the true sport of Afghan royalty throughout history. Qizilbash appear taller than Hazara and Tajik, their skin to me appears to be golden in hue and their eyes are often startlingly large and intense hazel. We sometimes saw Qizilbash women in their exotic beauty, dressed in non-Afghan Qizilbash traditional attire, with proud faces, multiple piercings and gold coins and gold chains dangling and interconnected. 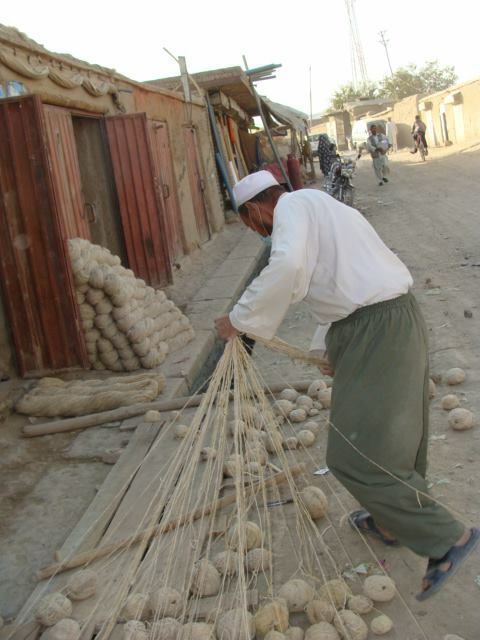 While driving through this neighborhood one day, we came upon a Hazara skeiner, turning balls of wool into skeins. 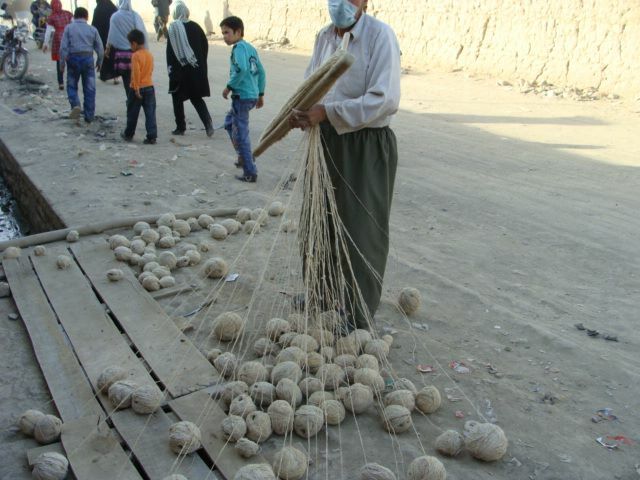 The Skeiner’s helper prepares the balls of yarn for Skeining. This neighborhood is home to many small shops and small industry. 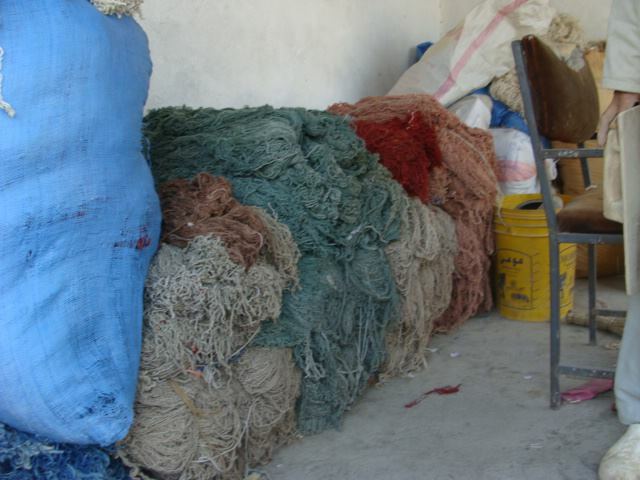 There is a booming rug and kilim-manufacturing base there. Nothing is manufactured in just one place or step. Sheep are sheared in one place; the wool is spun in another. The yarn is made into skeins in another shop, and dyed in a shop down the road. 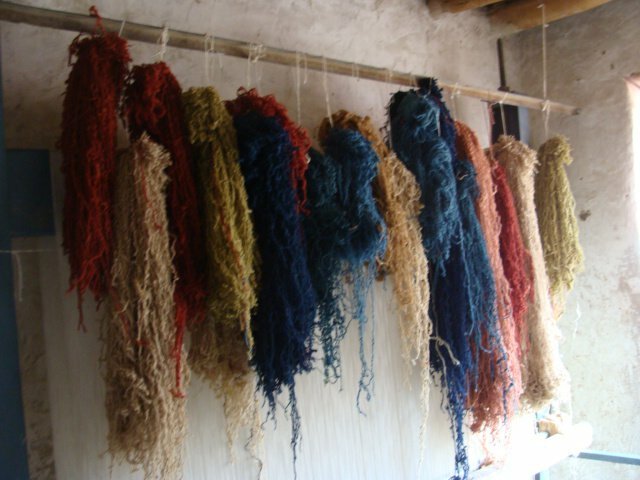 Once the yarn is dyed, it is sold to wholesalers who also act as agents for the rental of the loom, as well as kits consisting of the correct amount and color of yarn skeins, patterns of the rugs and kilims in demand, as well as the promise of a buyer for the finished material. At first blush, it is a very good system. Women with children can do work at home, with no initial investment. The buyer for the finished product is all but assured, so the element of risk is eliminated. There are several flies in the ointment, however. First, the rugs need to be shaved before they are finished; otherwise, the yarn threads turn the rug into a six-inch thick random color fuzz ball. 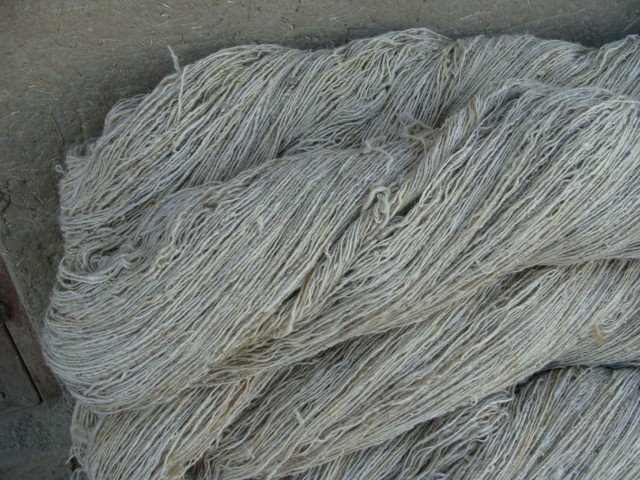 And the rugs are sold unshaven to Pakistani traders at a very minimal price; the rugs are shaved in Pakistan and then sold on the international market and the Pakistani traders collect the value add of the final mark up. 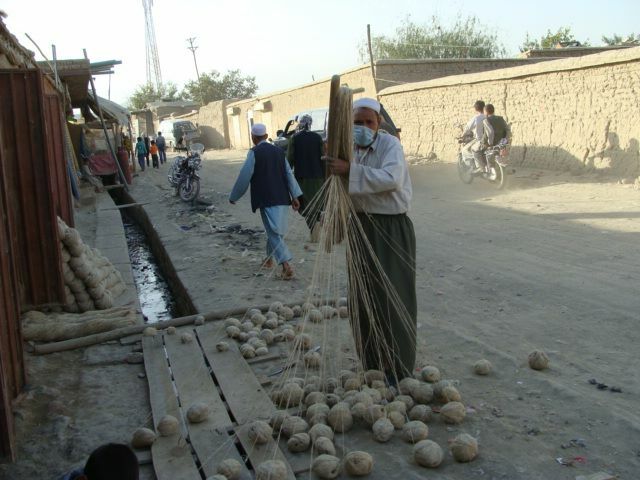 Second, the women receive very little pay for their work; approximately 300-500 Afghani a month (approximately $6-$8). Some women feed their children a mixture of hash and opium to keep them sedated and out of the way during their work. 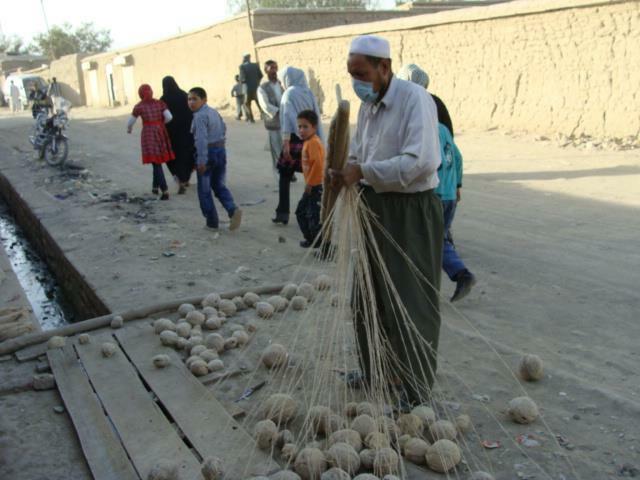 To add additional challenges to the rug making industry, cheap Chinese imports have decimated much of the traditional Afghan rug-making industry. 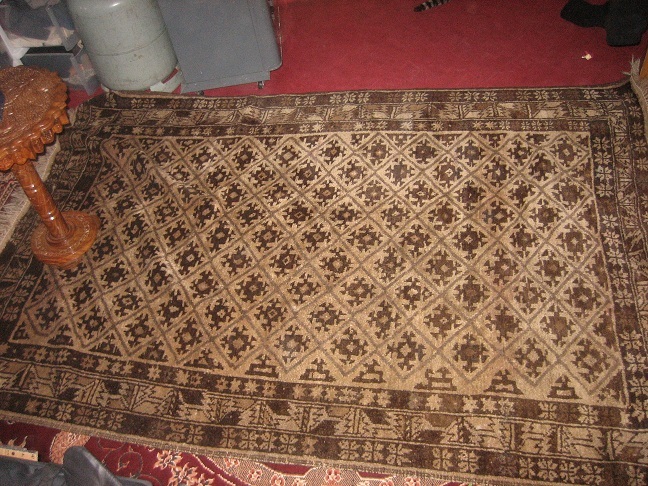 Of course, the Soviet Occupation, combined with the Civil War/Taliban have made some traditional rug patterns obsolete. Ali Kojah (Ali Khwaja) rugs from the north and west of the country are one of the extinct styles of carpet. I’d been told that the style is being made again, but not to the original standards of quality. I had always kept my eyes open for one of them, but after a couple years had given up. One time, not too long ago, I had the good fortune of taking a friend to my favorite carpet seller, and he absently mentioned having found an original Ali Khojah, and then moving quickly on to some other carpets in his collection. I quickly took over the process, asking that I be allowed to see this virtual carpet unicorn. He produced it, as requested, and I breathlessly asked the price. We quickly settled on an extremely reasonable price, and I went away from the shop walking on air. Not only is it an original example, but it spent it’s life hanging on a wall, as is evidenced by the migration of the natural dyes used in its manufacture. 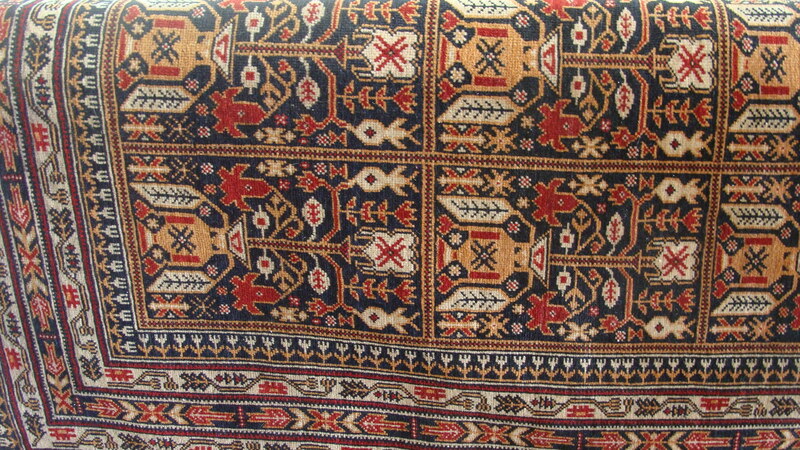 A Kuchi carpet, made completely without dyes of any kind; depending on the color of the animal’s wool for tint. My fantasy is that someday I could help the Afghans reclaim their position as premier carpet makers, and drum up interest in genuine hand made carpets from Afghanistan. And that this industry might help establish prosperity and the resultant stability in this country which has stolen my heart. I am a researcher, a writer, a former soldier, an academic and a lifelong learner. All text and pictures are copyrighted and are not to be used without express permission of the author. 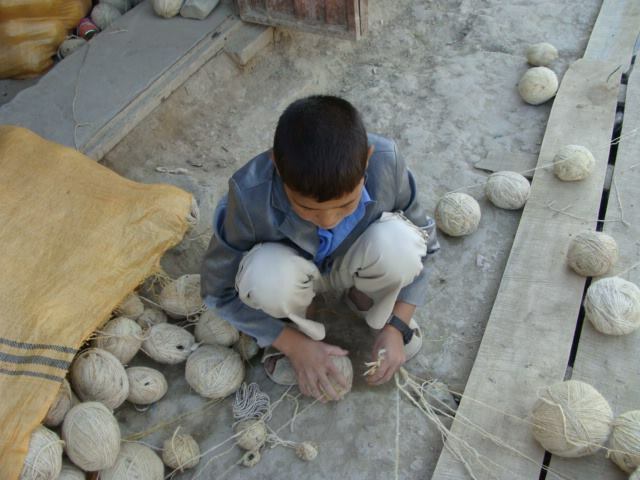 This entry was posted in How stuff is made, Shopping, Uncategorized and tagged Afghanistan, carpet, Hazara, Industry, Kabul, Kuchi, Qizilbash. Bookmark the permalink. I am so glad you enjoyed the piece, and that you appreciate Afghan carpets. I am also a collector of Ali Kojah having found many old ones in Kuwait with silk foundations and a couple from Pakistan and Baghdad!. I was anticipating finding a few in Chicken St., Kabul but struck out and was disappointed in the quality of the weave. Lately I’ve been noticing newer rugs of fine weave with pictorial fields rather than the repeat pomegranate design. And I was fortunate to find a dated Ali Khoja presentation piece. Kabul wasn’t entirely a bust as I did find a very old Adraskan with a very tight and small weave with outstanding black and indigo coloring and rather large and a very nice Waziri saddle bag. 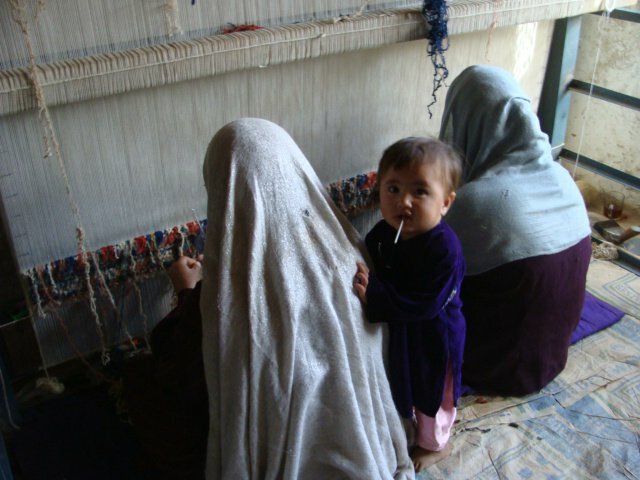 Carpet making as an industry will never provide good wages. 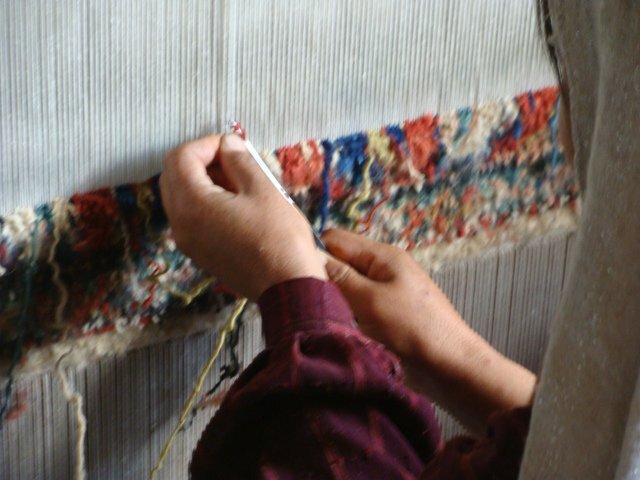 What is appealing to me about Afghan carpets is not so much the industry of making wool foundation carpets but rather the “honesty” of carpets woven in the countryside from local wools by women for familly income as had been done for centuries. I have a couple of carpets from kal Mohhamedi of Mazar-i-Sharif and while I appreciate the quality of his factory weaving and they look good on the floor, one must keep in mind in that he is a loom owner and one of those who do not provide very high wages. His designs are also new and sometimes not well mapped. This is not a criticism per se of factory style weaving, it is an expression of disappointment that weaving is not as prolific and practiced by women in the countryside as it once was. 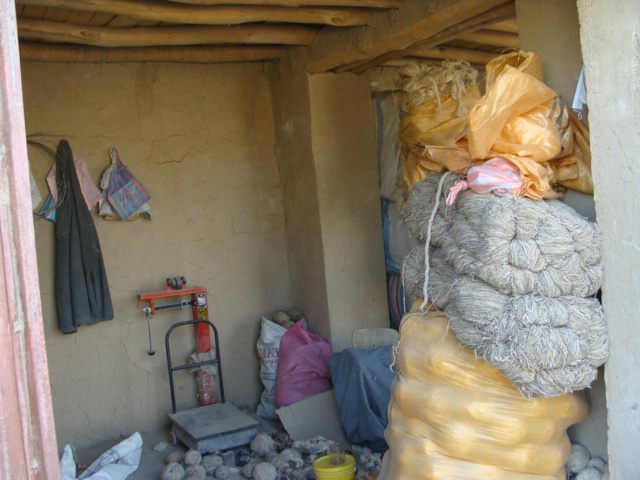 I am in upper Helmand Valley now and have made enquiries with the LN’s and nobody really has or weaves carpets. Carpets represent portable wealth and it’s gone from this area anyway. However It good to see other’s who appreciate the design and colors of Ali Kohja carpets. When I returned to Boston several years ago I brought my Ali Khodja’s in to a very well known and reputable dealer for an insurance appraisal and they were unknown. 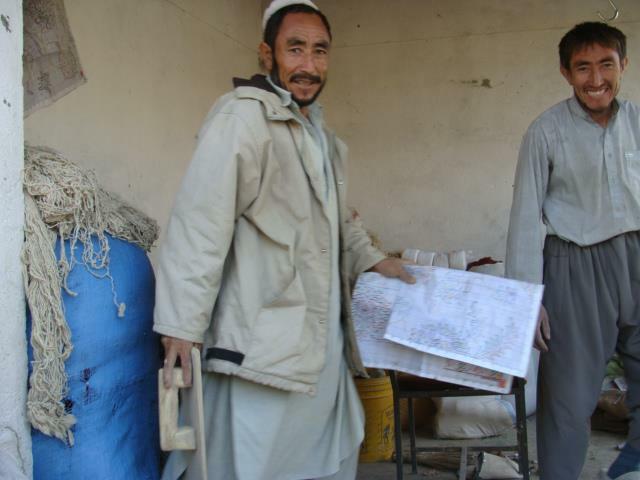 Until the “fixer-man” an Afghan who repaired carpets saw them and got very excited and gave the appraiser a fairly long dissertation! In the mix I also had a very nice and old Yaqub Khani that was also unrecognised! 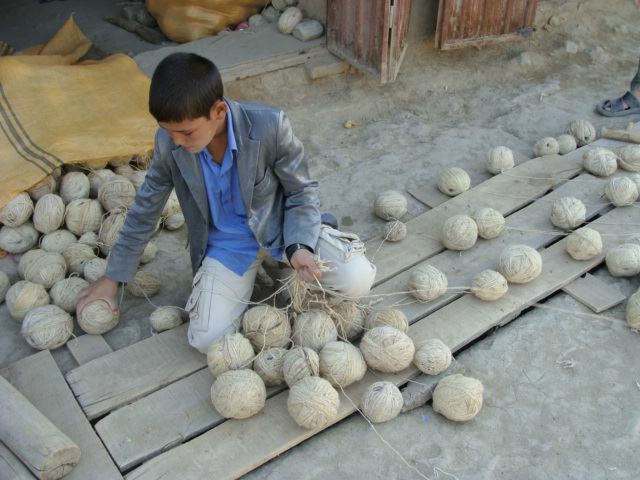 Hopefully they keep this young Afghan man on as his knowledge of Afghan carpets styles proved to be very instructive. Women in the Military: Is Physical Size and Strength Really Necessary for Military Success?